Alien Bee: SUPERNATURAL Spin-off GHOSTFACERS To Hit The Web! SUPERNATURAL Spin-off GHOSTFACERS To Hit The Web! "Ghostfacers" represents the latest expansion into the digital studio space for Wonderland, which is producing the "Supernatural" spinoff with Warner Bros. TV's Studio 2.0. In a twist, "Ghostfacers" will premiere on TheWB.com -- the interactive/video-on-demand website that emerged from the ashes of the WB television network (where "Supernatural" first bowed). The series will also appear on the CW's website. Wonderland has already begun production on the project, which will initially run as 10 three-minute episodes. "Ghostfacers" follows a team of ghost hunters who tape their exploits in documentary fashion. "It felt like the nature and style of what they do with their show-within-a-show would be fun to see in new media," said Wonderland TV topper Peter Johnson. "It's a fun, subversive way to allow these characters to play in the margins." The somewhat comedic group first appeared on the first season of "Supernatural" (and were created for the show by Trey Callaway for the episode "Hell House") and also returned in season three, in the episode "Ghostfacers," by Ben Edlund. According to Johnson, the "Ghostfacers" characters have already spawned a convention in London. The new series' first installment will follow the "Ghostfacers" as they investigate a theater believed to be haunted by the ghost of a young starlet (played by "Nip/Tuck" alum Kelly Carlson). "Ghostfacers" stars A.J. Buckley ("CSI: NY"), Travis Wester ("Bones"), Brittany Ishibashi ("Supernatural") and Austin Basis ("Life Unexpected"). Besides starring in "Ghostfacers," Buckley and Wester are also writers on the project, along with Patrick Doody and Chris Valenziano. "Ghostfacers" is exec produced by McG, Peter Johnson, Jeff Grosvenor, Eric Kripke and Phil Sgriccia. "'Supernatural' has sprung forth beyond the TV show," said Johnson. "The mother series seems flexible enough to allow our creative talent to pursue some of these other arenas." 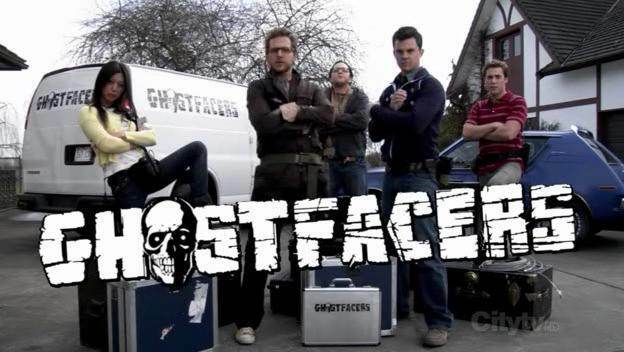 Beyond the webisodes, TheWB.com and CWTV.com will also include other "Ghostfacers" content, such as gag reels, behind-the-scenes videos, photo galleries and actor confessionals. More mythology will also be uploaded to a dedicated "Ghostfacers" website. When these cool webisodes hit, I'll be on top of it! Hey that rhymed!